On Thursday, the Metro Board of Directors will consider The Re-Imagining of LA County: Mobility, Equity and the Environment. The plan aims to reduce traffic, improve transit and reduce air pollution before and after the Games by using a number of tools — including congestion pricing and New Mobility fees. The Board will also consider approving continuing work on the Twenty-Eight by ’28 Initiative, which seeks ways to fund the building of 28 major projects before the Olympic and Paralympic Games arrive in the Los Angeles area in 2028. Eight of the 28 projects currently have completion dates scheduled beyond 2028, and there is a desire to get them done as quickly as possible. The Re-Imagining Plan grew out of an effort to identify feasible ways to achieve that goal. What Metro staff discovered was an opportunity to do something they believe will be truly transformational. Congestion pricing is the part of the Re-Imagining plan that has received — quite understandably — much public attention. In plain English, congestion pricing (C.P.) is the use of tolls to reduce congestion, improve equity and cut emissions. How? It can reduce congestion by encouraging discretionary travel at less congested times of the day. It can improve equity by reinvesting toll revenues to improve transit services and provide more reliable trips for those whose livelihood depend on it. And, it can ultimately improve air quality by promoting free-flow conditions on the highways and streets. Metro staff have proposed launching a 12-to-24 month feasibility study to test congestion pricing at a location-to-be-determined in L.A. County. The study would look at three different ways congestion pricing might be used: a fee on the number of miles driven by a vehicle (called VMT), a fee for entering a certain area (‘cordon pricing’) and fees for traveling in congested corridors (‘corridor pricing’). For what it’s worth, I have as many questions as anyone about how this might work — and I also think it’s well worth studying. The status quo in our region is not very good and right now, people are already paying for congestion with their time, health and poor air quality. Also worth mentioning: congestion pricing has the potential to raise between $9.6 billion and $83 billion over 10 years, according to Metro staff back-of-the napkin estimates. That’s enough money to possibly provide greatly expanded and improved transit service, according to Metro staff. Another aspect of The Re-Imagining of LA County is to pursue the study of implementing fees on New Mobility devices (i.e. electric scooters) and ride-share companies (Uber and Lyft are the big ones) that have significantly added to the congestion on our streets and highways. 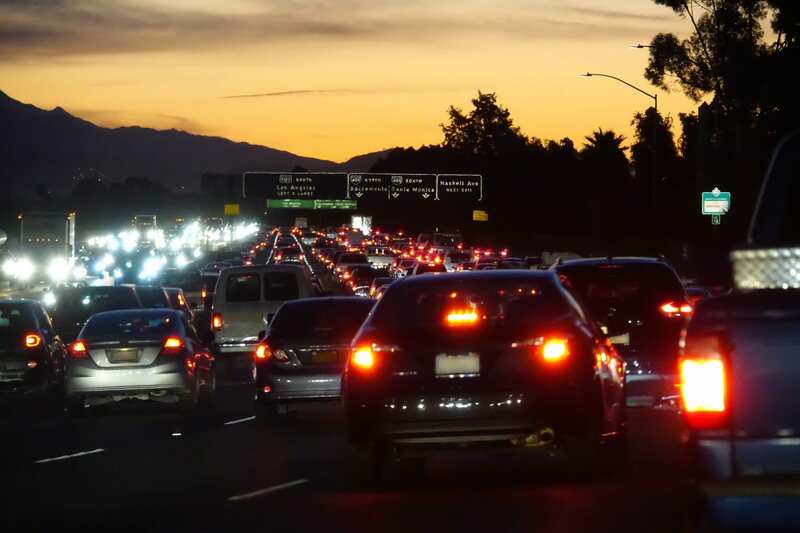 A recent study in San Francisco found that ride-sharing vehicles comprise 15 percent of overall traffic in the city and greatly contribute to traffic congestion in San Francisco. •The feasibility study — with considerable public and expert oversight — would tackle a number of issues involving equity. Board Members have raised concerns about how congestion pricing might a variety of people — especially those with lower incomes — who must drive for a variety of reasons. •The study does not guarantee C.P. will happen. The Board would have a chance to consider the results of the study before giving approval to implement any kind of test of C.P. or any expansion of it. •I’ve read some folks saying that all day laborers and workers would hate C.P. Maybe, maybe not. I imagine some would not like the extra costs of driving whereas others would appreciate the time savings that could lead to more work and more business. •Some folks are saying C.P. is a regressive policy. If looked at strictly as a fee, then yes. But it’s a fee with associated progressive benefits: better and potentially free transit, less pollution, fewer greenhouse gas emissions and time savings for many people. In other words, there are pros and cons, like most things in life. •I do think it’s safe to say that some — maybe even many — commuters who want to avoid tolls would move to transit. But I doubt everyone would. C.P. may also persuade some folks to take discretionary trips at other times of the day and C.P. could result in some employers shifting hours or encouraging telecommuting more than they currently do (about five percent of workers in L.A. County work at home, according to the Census Bureau). This is a terrible idea, it’s already unaffordable to live here adding more charges to it hurts low income folks and you should be ashamed of yourselves for suggesting this. All those other cities have adequate mass transit which we do not.